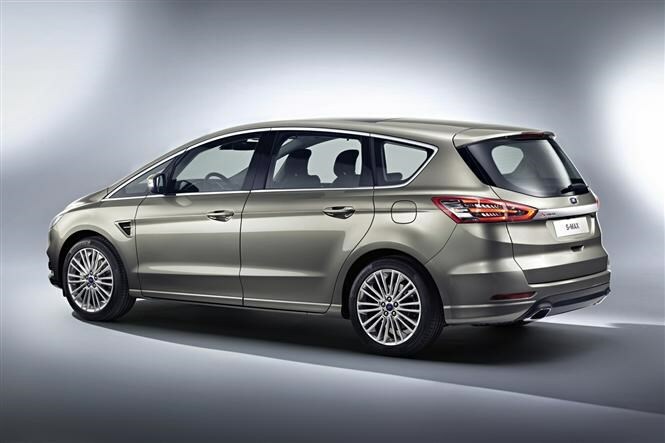 There is a new Ford S-Max and it's one promising a great driving experience and lower running costs. The blue oval company reckons that the all new version of its seven-seater, family focused people-carrier not only delivers the engaging driving experience of a much smaller car but also lowers running costs significantly. Ford is offering both diesel and petrol engines in the S-Max including its efficient EcoBoost petrol engines (in 1.5-litre and 2-litre guises). There’s one 2-litre diesel engine but offered in three power outputs: 118, 148 and 177bhp. 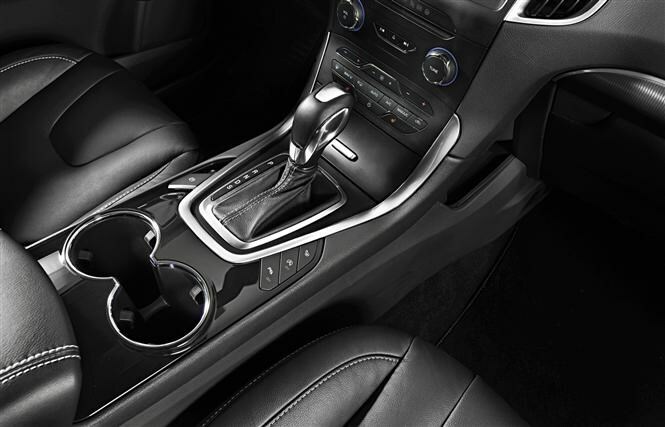 There is also the choice of a six-speed manual or a quick-shift automatic gearbox (dubbed PowerShift). Figures for fuel consumption and emissions are yet to be released but Ford is indicating a 7 percent drop in emissions (based on current figures for the 2.0TDCi 140bhp Zetec version that would see emissions drop below the 130g/km for an annual car tax cost of £105 and first year free). 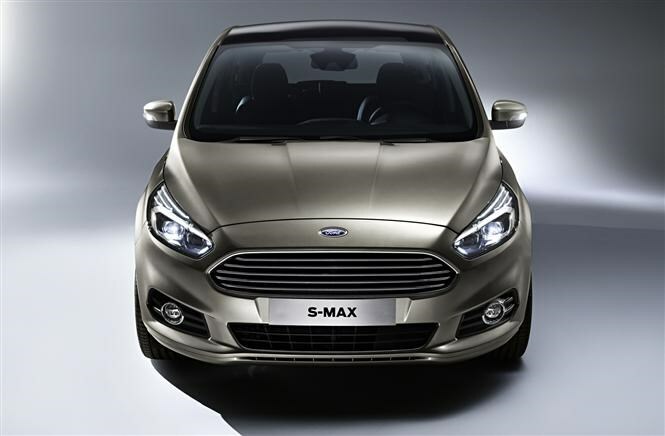 Ford is keen to build on what it believes is one of the S-Max’s strengths: driving appeal. It now comes with adaptive front steering that moves the front wheels more at lower speeds and less at higher speeds from the same amount of steering wheel turn. That should mean parking is easier as well as delivering a more engaging drive on the open road. The S-Max will be available in five and seven-seat configurations with the rear seats folding flat (done via a push button) into the floor when not required. Ford reckons there are 32 seating and loadspace combinations so plenty of flexibility for family trips out. 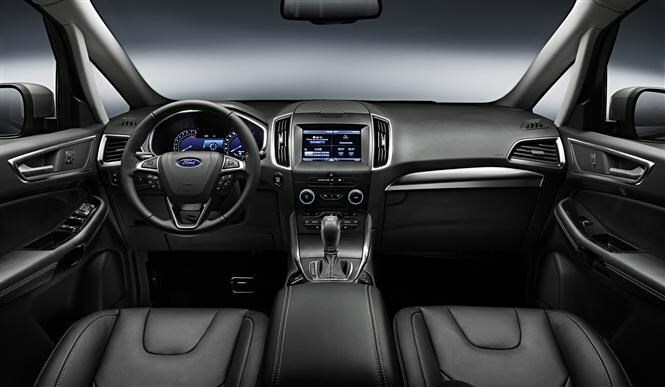 There is climate control now for rear passengers and Ford reckons the S-Max will be quieter than the current model thanks to greater use of noise insulation material, improved door seals and more vibration damping tech fitted in the roof. Seats and interior have also been stress-tested for wear, tear and snagging. The front two seats can be fitted with a massage function as well as heaters in the seat and steering wheel, plus there is greater adjustment of the head rests too. The S-Max will also feature some new driving aids that are designed to enhance safety and deliver a less stressful driving experience. There is an autonomous braking system that automatically applies the brakes if it detects a collision is imminent. Further safety aids include Blind Spot indicators, Lane Keeping alert and traffic sign recognition. To help parking there are parking sensors that not only warn of obstacles close by but also of approaching cars that may be crossing behind the vehicle when it is reversing out of a space. There is even parking assistance that will steer the people-carriers into a bay or parallel space, while the driver controls the accelerator and clutch. 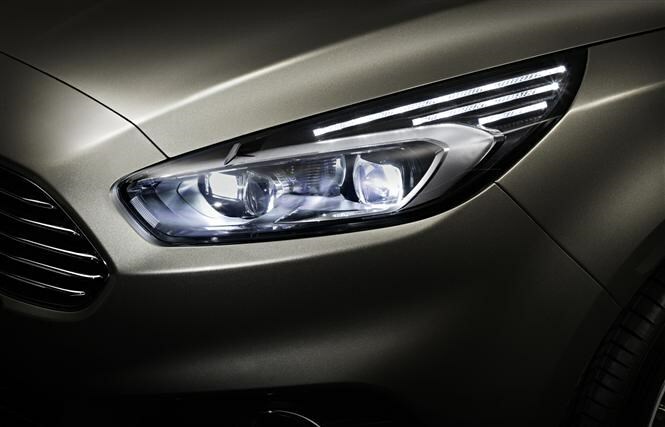 Headlights will now curve with the direction of the steering wheel and high beam can automatically cut glare for oncoming cars or vehicles being approached from behind. 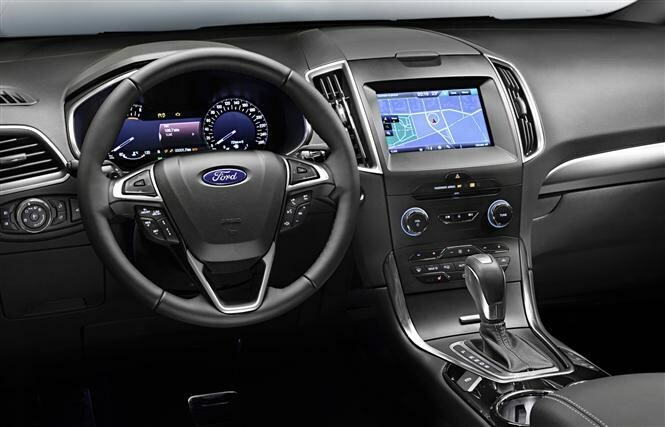 The S-Max will also feature SYNC 2 technology (as seen on the new Ford Focus) which integrates the ten-inch driver view screen, eight-inch central-mounted dash screen and voice controls to access sat nav, entertainment and phone functions. Owners can personalise the look of the driver-facing screen too. So when’s it on sale? 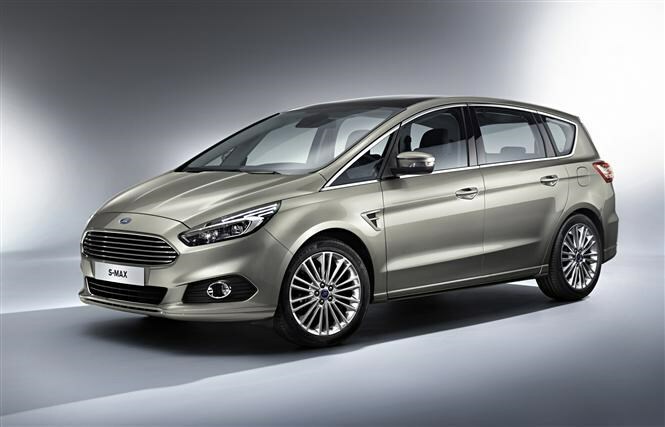 Ford dealerships will have the new Ford S-Max in early summer next year so expect order books to open a couple of months before that. The range line-up is likely to be made of entry-level Zetec, mid-range Titanium and Ford’s new luxury trim Vignale will top out the range, though it won’t be available until late summer or early autumn. Prices are likely to be broadly similar to the current model so starting from around £24k and going up to £31k for the high end versions. Watch out for the full Parkers Ford S-Max review coming soon.